He sat there, again, staring at his computer. He had been waiting for this moment all day. The moment when he would have some time alone with his thoughts. Waiting for the moment when he would have time to write and get all of those thoughts and feelings he’d been struggling with out on paper. Well, maybe not paper in this instance, but at the very least his thoughts and feelings would no longer remain inside, bottled up, strangled, desperate for an outlet. He had an idea for a short story while waiting for his bus this morning. He wrote it down on a napkin he found in his backpack and jotted a few more ideas down in a notebook he keeps in his office desk. He read an article at lunch time that he wanted to respond to in his blog. He wrote down a few notes about points he wanted to make in the “Notes” section of his iPhone. During his break, around 2:30 pm, he overheard a conversation that he thought would be an ideal exchange between two of the characters in his latest short story. He would change some things of course. He tried to quiet his mind for the rest of his work day because nothing frustrated him more than coming up with great ideas with little opportunity to write and watch the ideas flow from his brain through his fingers onto the page or screen. It was during those moments that life was absolutely magical. He walked through most days like he was drowning in the ocean. Each step he took, he could feel his arms flailing about. He was submerged and could not find his way to the surface. 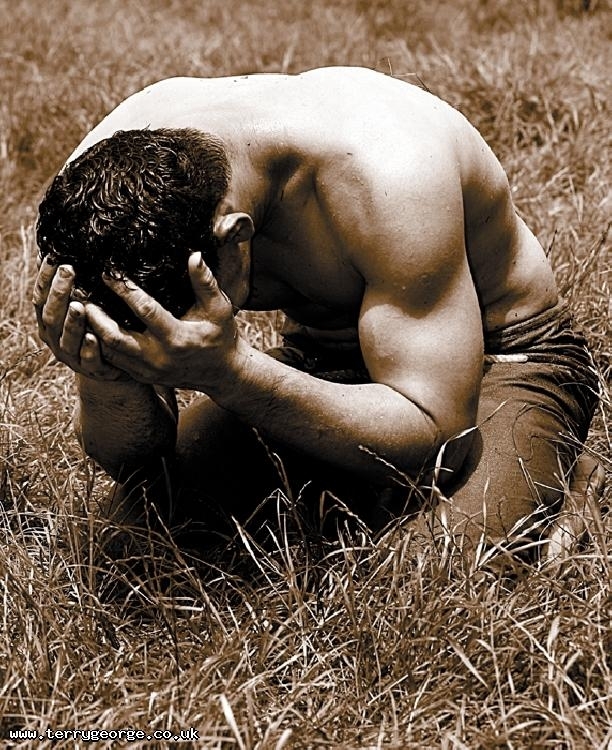 Every second, every movement was energy lost and he felt himself getting weaker. Each interaction with others was like swallowing sea water. Every time he opened his mouth to speak to someone, a rush of salt water flowed into his mouth and filled his lungs, further weighing him down. But when he had a pen in his hand and paper in front of him, or his hands on a keyboard with a blank Microsoft word page, he was no longer drowning. He was Poseidon. He swam through the waters at their lowest depths and commanded every creature, every ripple in the water and every element like the ancient Greek God. His pen and keyboard served as his trident and his words were waves of power with which he commanded the seas. Nothing stopped him when he was in a writing zone. But now, he was nothing more than a beached whale, staring at the water before him and longing for the safety and comfort of the sea. He felt less like Poseidon and more like a lonely fisherman with his feet dangling off the pier, his line cast in the water, waiting for a nibble while a storm raged around him. The storm was in his mind. The thoughts were there, the words were there, but the howling winds, rain and thunder blew them about in his mind like a small boat in a hurricane. And so he found himself, staring again at his computer lost in thought and anxiety. He knew he had something to say. Something good, something important even. But he simply could not get the words to flow today. He looked at his screen, he cringed and shuddered and felt his heart begin to beat faster. He knew he could do this. He’d done it over and over again. The words were there and he was good at it. There was nothing in life that he excelled at as much as writing. When everything else around him failed, when there seemed to be no hope at work, at home or anywhere, writing was the one salvation he had. He closed his eyes and placed his fingers on the keyboard. He took a deep breath, held it briefly and exhaled. With that breath he let go of all of his doubt, all of his anxiety and all of the frustration within. 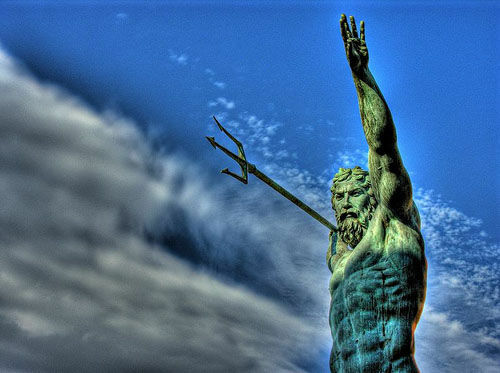 With his trident at his fingertips, he moved them across the keyboard and quieted the storm in his mind. He smiled, because he realized once again…he was Poseidon, Lord of the Seas. 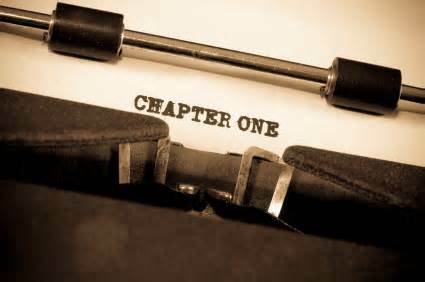 He smiled, because he realized once again…that he was a writer.